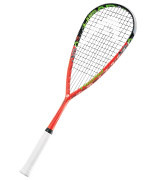 Here you will find the most powerful squash rackets currently on the market, both the slightly heavier models with brute power and the lighter, more maneuverable ones that are perfect for an aggressive game and volleying – all rated and reviewed. I list only the newest version of each racket here – but if you’d like to save some money, you’ll find links to previous versions on a particular racquet’s page. Most of the time, they’re only slightly worse but available at a discount. The upgraded version of the extremely popular Carboflex 125 – still offers awesome power, maneuverability and surprisingly good durability. 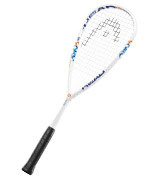 The most powerful racket in Dunlop’s current lineup, thanks to the teardrop head shape and long main strings with PowerMax pattern. A bit less maneuverable than the Revelation 125 but the power is top notch. The second most powerful racket in Dunlop’s current lineup, thanks to the teardrop head shape and long main strings. 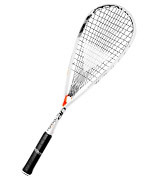 Also very maneuverable and great for volleying. 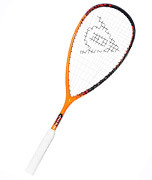 Very powerful racket with great touch, the head heavy balance makes it less maneuverable, but enables powerful swings with minimum effort. 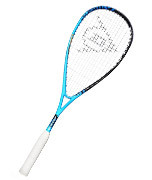 The middle racket from the new Dynergy AP series (according to weight). Excellent raw power for shots to the back of the court, but control had to be sacrificed a bit. 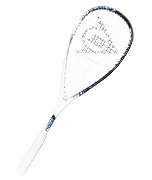 The heaviest racket from the new Dynergy AP series – great power for shots to the back of the court, a bit more mass and very good stability. A lot of power, good control and durability – now in an upgraded "S" version which offers better feel, removable bumper and enhanced maneuverability. Extra low weight, large head and head heavy balance produce great maneuverability and a plenty of power – and now with the upgraded Graphene XT technology. 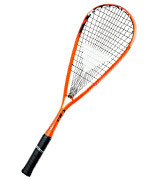 Lightest model from the new Dynergy AP series – quick, maneuverable, with great power and solid control and feel. Also a bit easier to use than the Carboflex 125. 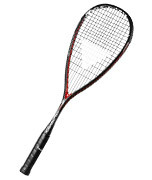 From the previous version, the purpose of the Evolution 130 has changed – now it excels in long and fluid rallies where you patiently keep the ball at the back of the court and wait for the right moment. 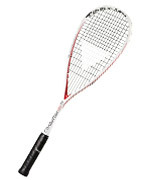 Great power and solid control. 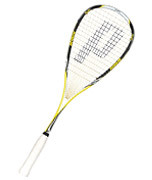 Very light frame and head light balance makes the Evolution 120 quick and maneuverable, perfect for a fast, aggressive style with lots of volleying. Great power and solid control. Great power, superb stability and a traditional, crisp feel – that’s the new Speedport Black. 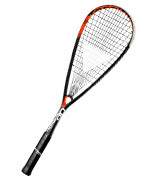 Also offers a good control and large sweet spot, the balance is head heavy. Heavier frame for additional power and stability, but still maneuverable thanks to the head light balance – and now with the upgraded Graphene XT technology. 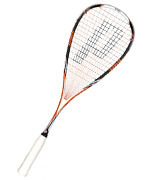 Heavier racket for a slower game, powerful and with a solid control – both accurate drops and powerful strokes from the back of the court are not a problem. Weight, Balance, Head size - how to understand these?